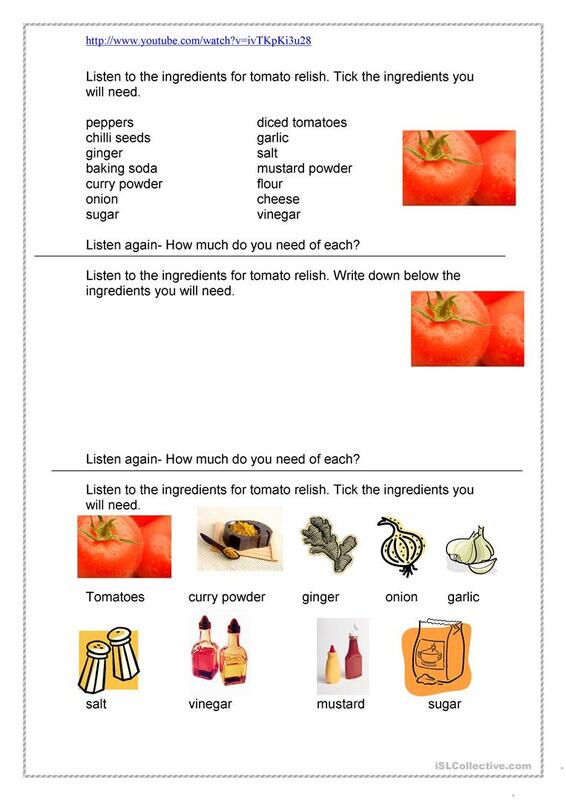 This worksheet has a link to a you tube video for the ingredients for tomato relish. The w/sheet is in 3 parts for different levels of students. An extension could be to then make a recipe for the relish or look one up on the internet. The present printable, downloadable handout is intended for high school students and adults at Beginner (pre-A1) level. It is a valuable material for improving your class' Listening, Spelling and Writing skills. It features the theme of Food.